Associate Professor Mark Gillem teaches architecture and urban design in the Department of Architecture at the University of Oregon. In the studio, he challenges students to balance theory and practice through participation in community design and interaction with clients, fostering collaboration in the shaping of sustainable urban form. Dr. Gillem’s professional practice, The Urban Collaborative, focuses on master planning and urban design working predominantly for the United States Department of Defense. He is also the Director of the International Association for the Study of Traditional Environment whose 12th conference was held in Beirut, Lebanon. Barry Gordon is an Adjunct Professor and Adjunct Research Assistant at the University of Oregon. 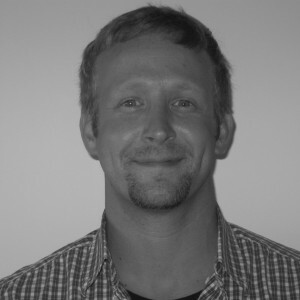 As adjunct research assistant he is the lead project manager for Urban Design Lab projects. Assisting in teaching studios, facilitates workshops and project development. Additionally, he participates and oversees project completion post-term. As adjunct professor, he co-teaches urban design and landscape architecture studios and media classes. Gordon’s master project focused on the sustainable and ethical development of community college owned public land. By using a participatory planning and design process he was able to facilitate a user-supported and implementable master plan that helps create the opportunity for alternative revenue streams, while building a work, learn, live and play community. Mr. Gordon works full time as a certified planner, landscape designer, and project manager for The Urban Collaborative (The UC). Additionally, he is the Director of Internship and Mentors Program at The UC. Assistant Professor Deni Ruggeri teaches urban design, landscape technology, theory and social factors in urban and landscape design in the Department of Landscape Architecture at the University of Oregon where he serves as director of the Ph.D. Program. Prior to joining the University of Oregon faculty, Prof. Ruggeri has taught at Cornell University, where he received funding from the Department of Agriculture to study the integration of green infrastructure as an element of urban regeneration in rustbelt cities. At Oregon, Dr. Ruggeri has developed a methodology for the assessment of urban livability quality in transit environments. Prof. Ruggeri serves as track co-chair for the People-Environment Track of the Annual Council of Educators of Landscape Architecture conference and has served on many expert panels for European Community projects focusing on New Towns. 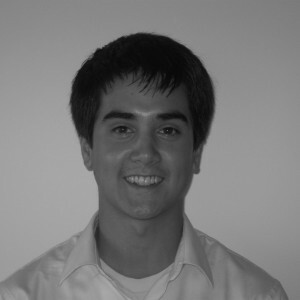 Mr. Fajardo is in his senior year and will graduate with his Bachelor of Architecture degree in June 2012. Jason has worked on several studio projects specializing in large scale master planning which have integrated community involvement, design charrettes, focus groups, and participation in administrative board meetings. Jason is currently working on the master plan for Lane Community College, the Camp Lutherwood Visioning Project, and helping to create the Urban Design Lab’s website. Mr. McAdams is in his senior year and will graduate with his Bachelor of Architecture and a Minor in Business Administration in June 2012. Timothy has 10 years design/build experience in residential construction and landscaping. He has worked on several studio projects specializing in large scale master planning projects requiring user participation, collaboration, and consensus building. Projects include conceptual design workshops, focus groups, and design review meetings. Timothy is currently working on the master plan for Lane Community College and a summer religious camps master plan. He continues to teach woodworking classes at the University of Oregon’s Craft Center. Ms. Schlachter is in her final year of graduate school as a dual Master’s candidate in Landscape Architecture and Community and Regional Planning. Rena has worked on several public participation projects in academic and professional settings that involve community design charrettes, focus groups, interviews, surveys, and multi-discipline collaborative meetings. She is passionate about planning for growth in our cities in a way that engages the public to create spaces that are socially and economically viable while respecting the environment. Rena is currently working on the Camp Lutherwood Visioning Project.